As part of Florida’s much-beloved Palm Beaches, Boca Raton remains a paradise for anyone that wants to live in a city that emphasizes the outdoors and a breezy ambiance. From Red Reef Park to the shopping and culture of Mizner Park, there is much to admire and enjoy when you become a resident of Boca Raton. Mizner Park is a city landmark, capturing the Mediterranean influence of its namesake, architect Addison Mizner. It’s at Mizner Park where you’ll find places like the Boca Raton Museum of Art as well as an outdoor amphitheater that frequently welcomes many of the most popular musical acts in a variety of genres. Mizner Park also has a movie theater, boutiques, plenty of restaurants, and so much more. Nature lovers should definitely pay a visit to Gumbo Limbo Nature Center, located near the northern end of Red Reef Park. A great experience for children and adults alike, the Nature Center includes varied programs as well as activities like a turtle walk and hatchling release. Nature trail hikes and aquarium feedings are also part of the experience. 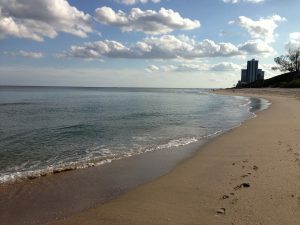 South Inlet Park Beach and Spanish River Park add even more variety to Boca Raton’s rich array of nature-minded attractions. Speaking of adults and children, families will find plenty to love at the massive 130+ acre Sugar Sand Park. There is a playground, carousel, and even a water park while the fitness center, nature trails, and athletic courts allow adults to remain active. The various picnic facilities also make Sugar Sand Park a wonderful place to spend time on a sunny weekend.